Whatever damage we sustained from overindulgence in red food coloring back in the 70s before it was yanked form the market for being carcinogenic seems to have subsided enough to allow for a resurgence in popularity of Red Velvet Cake. Red M&Ms reappeared a while back and now the cake, with recipes that call for less of the now safer red dye (but still a whole bottle nonetheless). Our mother’s birthday was on July 3, and she made red cake each year to take to the party up on the Cedar River on the 4th. Because this cake tastes especially good cold (it’s the cream cheese frosting), and the colors are right, it is really a great summer cake. And, as it turns out, nice for Christmas. I had misplaced the recipe that Mom used and recently found it in a recipe book put together by the Cook’s magazine folks. I will post the recipe itself on Parsenip later this week. I acutally made this for my bday this year only with the chalk white frosting. It was a long and difficult debate between cream cheese and chalk white. I am not convinced I made the right decision, but I think to really know I would have to eat them side-by-side. thoughts? I am going on sensory memory alone, and the cream cheese version tastes right to me. Having only done cupcakes, though, I really think I need to make the cake so that the cake to frosting ratio is right. This particular cream cheese frosting receipe is hands down the best I have ever made, though. When I have a minute I will post it and you can compare. 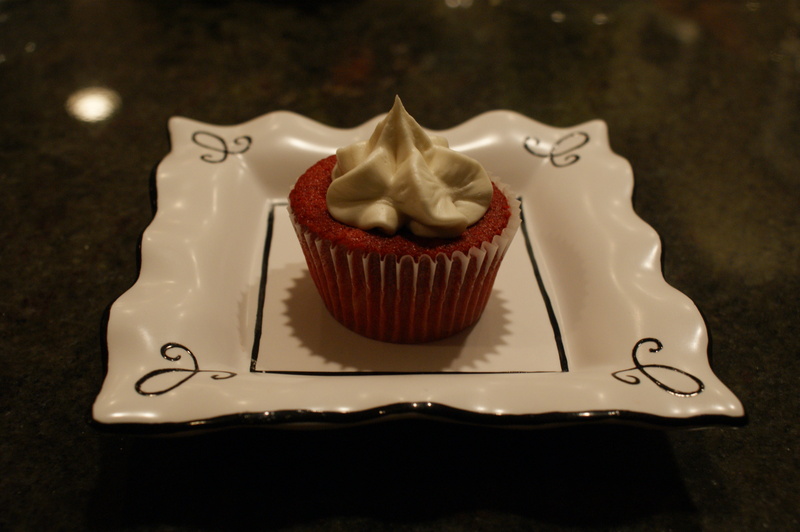 The cream cheese frosting recipe is now posted on Parsenip.